Every catalogue there’s a stamp set that I don’t buy in my first round of ordering and then totally regret not owning it when I see all the amazing things people are sharing! For Occasions 2018, it’s the Waterfront stamp set. Filled with artistic builder pieces for a mountain range, desert island or other naturescape, there’s endless options for the creating masterpieces. The best advice I have heard for this stamp set is to choose an actual photo and copy the terrain. Using this technique, I have seen some amazing creations! I plan to try this next, but for my first outing I kept it simple and got happy with some of my favourite colours! The mountains are Rich Razzleberry & Sweet Sugarplum, the sand bank Sahara Sand, the water Pool Party & Soft Sky, the moon Sweet Sugarplum and the trees & sentiment is Tranquil Tide. 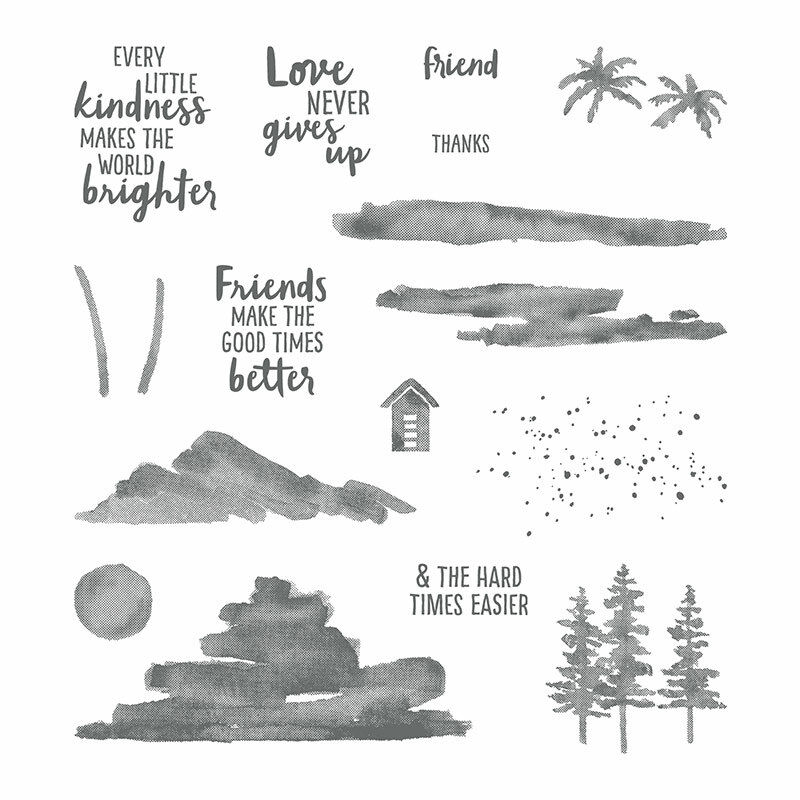 Using ‘stamping off’ where you stamp onto scrap paper before stamping onto your project can help to get some alternative tones of the same colour and is a great technique for this stamp set. Our Paper Adventures team had a great time making this on Sunday night at our team meeting. I may have tempted a few to add it to their next order! There’s nothing like using a stamp set in person to help you fall in love! 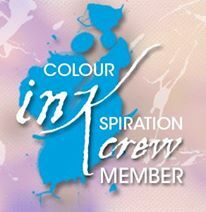 If you’re curious about joining our Paper Adventures team, February is an excellent month to join! 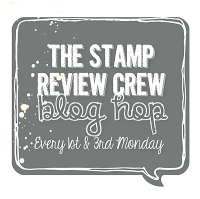 $169 to purchase a Stampin’ Up! Starter Kit, which you can fill with $235 of products from your wishlist (free postage!!) and two free stamps sets on top of that! You’ll get a discount on the rest of your wishlist until at least 31st July 2018. 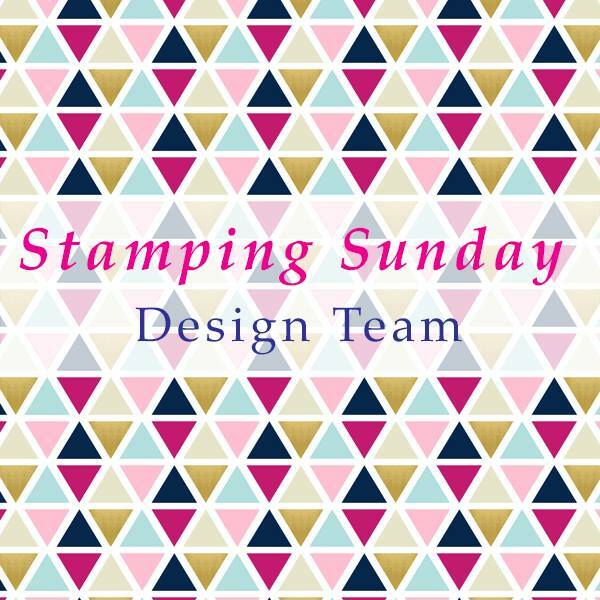 Click here to start your Stampin’ Up! adventure! Oooo, they might be! Good spotting! 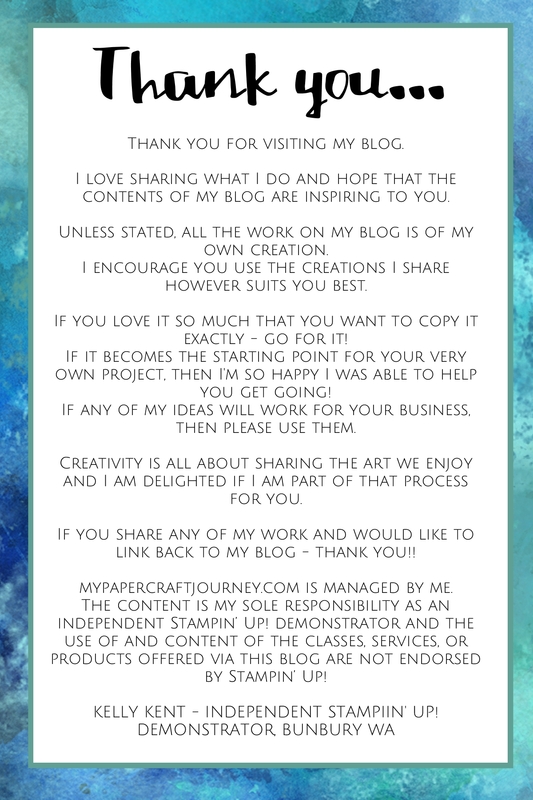 Beautiful stamping and colours , I really like yours Kelly.